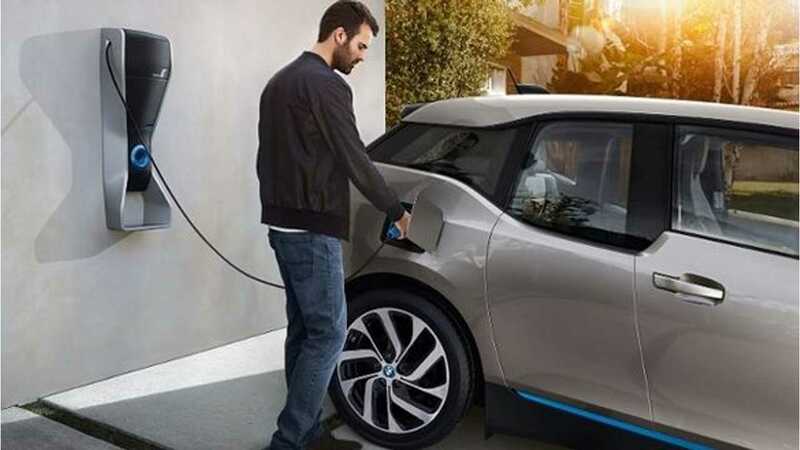 BMW announced earlier this month that together with Pacific Gas & Electric Company it prepared a pilot study BMW i ChargeForward Program to test charging management and "second life" battery systems in California. In the first part, up to 100 BMW i3 owners will agree to delay charging for up to one hour a day if Pacific Gas & Electric Company demands it (although the i3 owners can force charging by smartphone if needed). Pacific Gas & Electric Company will have available some 100 kW of power at peak usage. The second part uses a 200 kWh energy storage system build from old MINI E battery packs, combined with solar power. "The pilot study will be undertaken by the BMW Group Technology Office, together with Pacific Gas & Electric Company (PG&E), whose service area covers much of Northern California. Working with a select group of BMW i3 drivers, BMW i ChargeForward will demonstrate how intelligent management of electric vehicle charging can contribute to improved electric power grid efficiency while reducing total cost of electric vehicle ownership. The study has two parts, a managed charge pilot program involving BMW i3 owners and a battery second life energy storage system. In the managed charge pilot program, select BMW i3 owners will allow PG&E to request a delay in the charging of their vehicles by up to an hour, when grid loads are at their peak. The program also includes a “second life” for used MINI E batteries, by repurposing these batteries into a stationary solar-powered electric storage system located at the BMW Technology Office in Mountain View, California." "Grid efficiency through managed charging, combined with a used EV battery “second life” system. The goal of the pilot is to provide PG&E with 100 kilowatts of capacity at any given time, regardless of how many BMW electric vehicles are charging, as part of a voluntary load-reduction program known as “Demand Response.” The benefit to PG&E of more efficient use of existing power grid resources through EV charging management is passed on in the form of monetary incentives to program participants. Improved grid utilization, resulting from EV charging management combined with a solar-powered “second life” battery system, is expected to reduce stresses on the grid while supporting the integration of renewable energy." Under the BMW i ChargeForward Program, BMW i3 owners will get $1,000 initially and then up to $540 at the conclusion of the program depending on their share in the program. Pilot begins in July 2015 and ends December 2016. Up to 100 BMW i3 drivers located in the San Francisco Bay Area who complete a pre-qualification survey at www.bmwichargeforward.com, starting in January 2015, will be selected to participate in the managed charge segment of the pilot from July 2015 to December 2016. Throughout the 18 month pilot, BMW will manage the charging of participating BMW i3 vehicles, while prioritizing the e-mobility needs of participants based on timing by which vehicles should be fully charged, as communicated through a smartphone app. For each program “event,” when PG&E experiences peak load conditions, participants whose vehicles are selected for delayed charging will receive a text message notifying them that their vehicle will stop charging for up to one hour, thereby temporarily reducing the load on the power grid. Using the BMW i ChargeForward smartphone app, participants can opt out of any request based on their driving needs, and their vehicle charging will continue uninterrupted – for example, if they need to depart for a trip during peak load times and need a full charge sooner. As an incentive for participating, selected drivers will receive $1,000 initially, and an additional reward of up to $540 at the conclusion of the program, based on their level of participation in charging Demand Response “events,” as well as participation in occasional BMW or PG&E sponsored surveys or questionnaires. 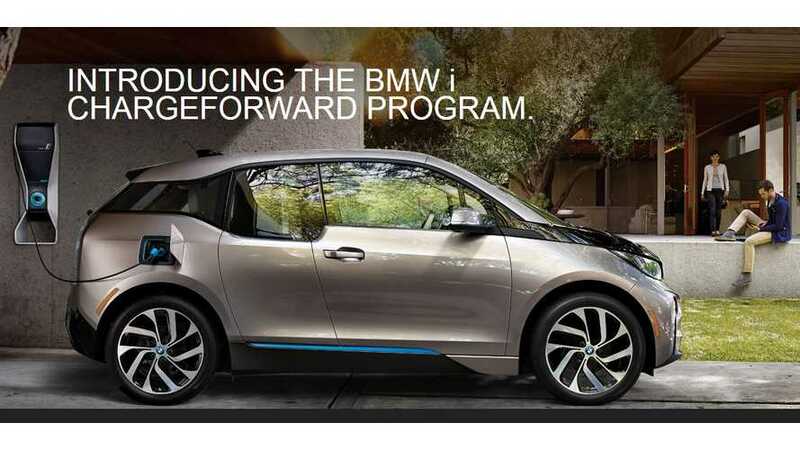 BMW will begin accepting applications at www.bmwichargeforward.com in January, and the program will kick off in July 2015. EV battery “second life” system using MINI E vehicle batteries. The battery second life portion of the project involves a full-scale stationary energy system built from eight used MINI E batteries to store energy and return it to the power grid. This 200 kilowatt-hour system, located at the BMW Technology Office in Mountain View, California, is one of the largest second life systems in the world. At the end of a vehicle’s life, these batteries still have at least 70% of their original storage capacity available, making them suitable for re-use. By removing them from the vehicle and installing them in a stationary storage system with integrated solar power generation, new renewable capacity can be added to the grid—supported by resources that once took energy from it. This additional power will supplement the energy load reduction by intelligent management of BMW i3 charging, to ensure PG&E grid needs are met, based on signals sent to BMW by PG&E as part of Demand Response. BMW i ChargeForward project goals. The goal of the pilot is to make electric vehicles even more attractive to our customers by ultimately reducing the total cost of EV ownership while demonstrating the ability to integrate renewable energy into the grid, extending the BMW Group’s commitment to sustainability as demonstrated by BMW i. Total costs of ownership could be reduced, for example, as utility companies provide drivers with incentives to manage their electric vehicle charge times; these incentives could offset the cost of installing a charging station at home. BMW brings its extensive e-mobility history full circle. The BMW Group took a significant step in the adoption of sustainable mobility with the MINI E pilot project in 2009, and then again with the BMW ActiveE Field Trial in 2011. Experience from these field trials paved the way for the first born-electric production BMW EV, the BMW i3. BMW i ChargeForward employs both used MINI E vehicle batteries from the MINI E Field Trial as well as a small group of on-the-road BMW i3 vehicles, to advance the benefits of sustainable mobility."